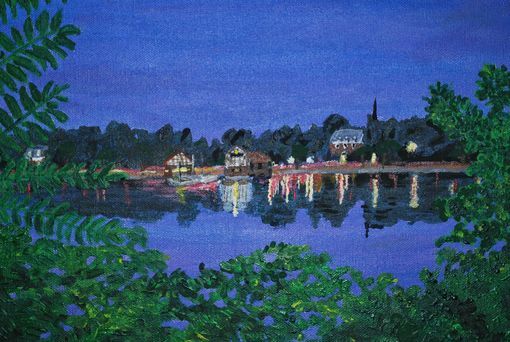 Painting: "Twilight On Jamaica Pond, Boston"
Despite my initial misgivings, I've come to a begrudging respect for Boston, which, I will admit, has a greater beauty than the city in which I grew up (Phoenix, AZ). 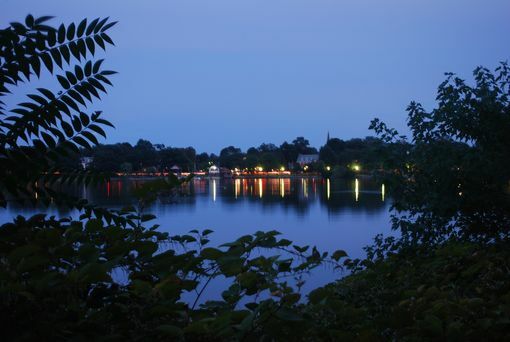 Twilight, slowly gathering over Jamaica Pond, proves to be an example of this. I'm especially happy with how the lights and reflections turned out. 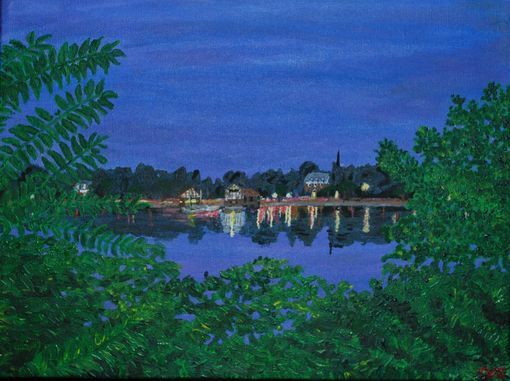 The painting is based on a photo (see above), which was a 10 second exposure at dusk. I think both turned out fantastic. The painting itself was 9"x12"